Oklahoma U.S. Sen. Jim Inhofe is listed as a prominent reference on the Web site of a consulting firm operated by former Congressman Mark Siljander, who has been charged in connection with allegedly helping an Islamic charitable organization with ties to terrorists. Siljander, a former Republican Congressman from Michigan in the 1980s, has been charged in federal court with 42 counts alleging he helped funnel money to an al-Qaida supporter “who has threatened U.S. and international troops in Afghanistan,” according to a media report. 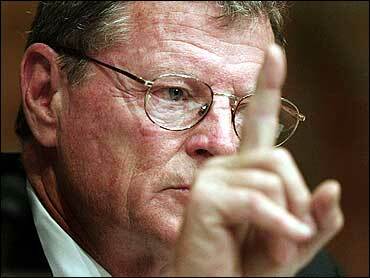 Inhofe’s name appears on a “List of References” given by Global, Strategies, Inc. Siljander founded the Washington, D.C. area firm, according to the site. Inhofe’s name appears on the top of the list, which includes several politicians and leaders. Here is Michelle Malkin’s take on the issue. Here is what Down With Tyranny has to say about it. Here is the Department of Justice press release on the issue. Siljander represented a district in Michigan from 1981-1987. He was a delegate to the U.S. General Assembly from 1987-1988.